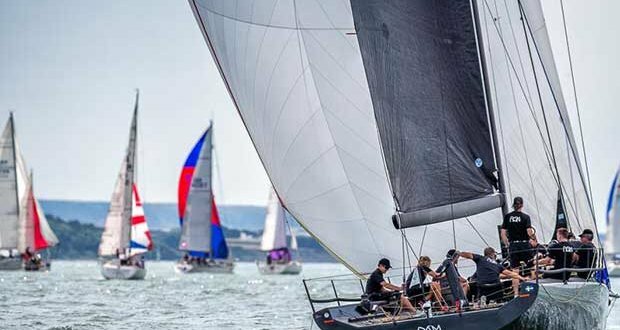 Racing for the FAST40+ Class at Lendy Cowes Week started right on schedule but it was a far from an ordinary day in the grand prix class at Britain’s favourite regatta. In blazing heat, and a light yet stable northerly breeze, Niall & Olivia Dowling’s Pace won Race One having nailed the pin end of the line of the windward-leeward course. Pace made the correct tactical decisions for the remainder of the race to take the gun by a minute and a half from Steve Cowie’s Zephyr. Peter Morton’s Girls on Film was third. Race Two, with a round the cans course started in a fading breeze. Pace was leading Hitchhiker when the race was abandoned as the wind dropped to barely a breadth. Whilst Pace were ruing their bad luck, Zephyr was counting their blessings. The Scottish team went aground at Gurnard Ledge but will live to fight another day. 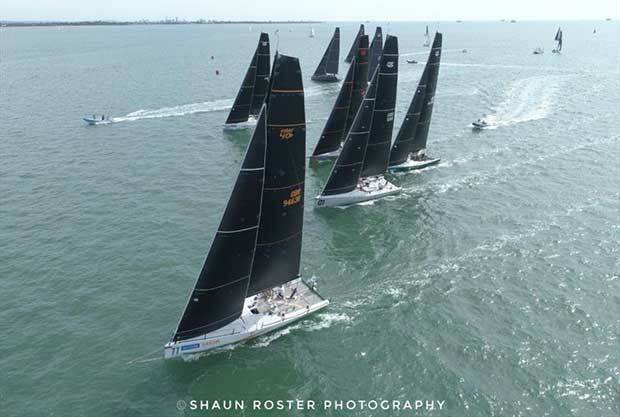 “Flat water is a lot better than the waves on the West Coast of Ireland.” mused Niall Dowling, who steered Ker 43 Baraka to victory in last month’s Round Ireland Race before buying Ker40+ Pace after three charters in the early season. “We got a great start at the pin end and the team just did a magnificent job to keep us at the front. This is the first race Olivia and I have raced the boat as owners, so the win will always be a memorable one. We were leading in the second race, side by side with Hitchhiker, and we would have both loved to have continued.